Sarah Smith (otherwise known as Modern Flower Child) is based on the coast of Oregon in the U.S. Pacific Northwest. 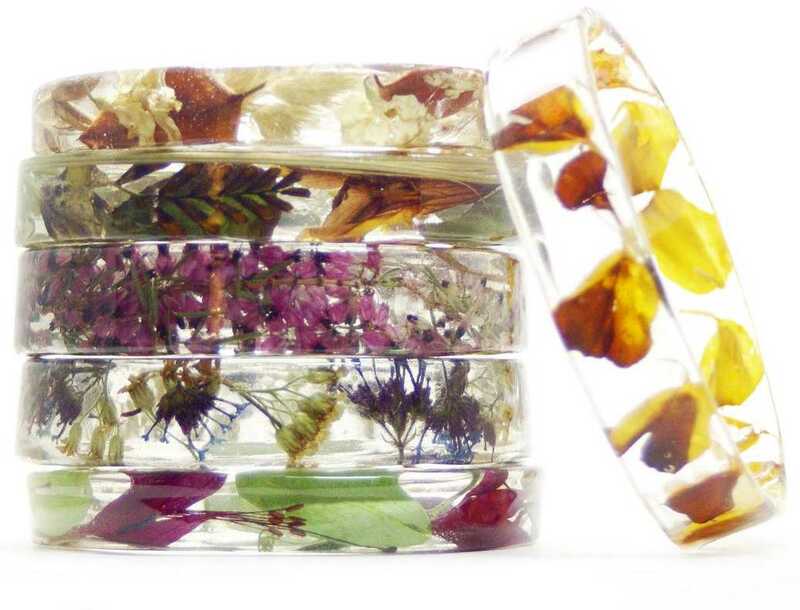 She works alone and all of her jewellery is completely handmade from design, to pouring resin, to curing and shaping each piece, all of which can take two to three weeks for each piece. Each piece is unique and the natural look is achieved using real dried flowers, grasses, foliage and other organic materials. Subject to availability, pieces may be available at Modern Flower Child's online Etsy shop.